This service is to help restore lost emotional bonds, help heal heart break or friendships, help someone to open up and show their true feelings and desires, let go of a past love or unhealthy love. It can help reverse any type of negative emotion you, or the target, associates with a situation while enhancing the positive emotions and traits of the relationship. 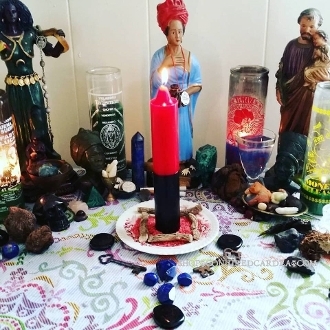 It is a 3-5 day service during which I will created a loaded and dressed Emotion Reverse candle for you, create a name paper, set the proper offerings, vigils and spiritual grid plus evoke the proper deities and and/or spirits. You will receive 5-10 photos of the work as well as a full report.